Telltale Games is well known for creating story-driven games that feature less of a streamlined gameplay and more dialogue and decision-making. Naturally, this type of game translates very well to mobile and its kind-of-handicapped touch input, so Telltale is well-known to port all of its titles for both Android and iOS. The studio's latest game is based on none other but the Dark Knight himself — Batman. Set a few years after Bruce Wayne started donning the cape and cowl, the story is a fresh take on the early years of the Caped Crusader's adventures. The player will be controlling both Batman and Bruce Wayne and, at times, has the choice to approach a certain situation either in “normal” clothes or as the masked vigilante. 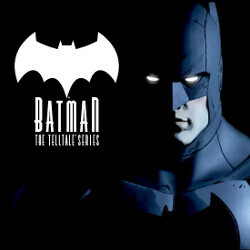 In typical Telltale fashion, the game is split into 5 episodes. The first one has been available on consoles and PC for almost 2 months now and has finally been released on iOS today. Unfortunately, an Android version is still marked as “coming soon” but we'd imagine it's a matter of days for it to pop up as well. Meanwhile, the second episode is already up for PC and consoles. The price of episode 1 is currently $4.99, and it's safe to assume that's the price-tag that the rest of the episodes would flaunt. Cat women is ridiculously hot. The first company that perfects physical feedback for VR is going to make a killing.